The main goal of this program is cultural exchange and learning. The positive change that arises through the funds generated is also of course wonderful and drives us to continue this cause, improving the system of exchange (a great benefit to children from both places!) and perhaps one day expanding the program to other villages. 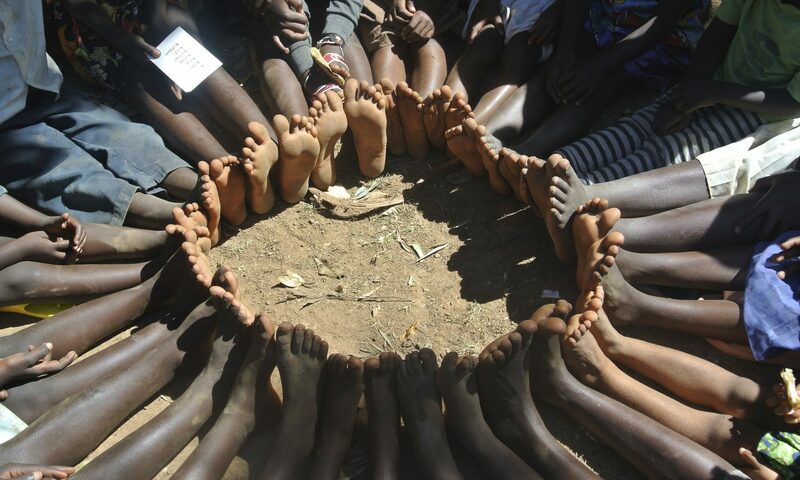 With no stationery, children use a stick to practice writing in the dirt. Your contribution helps school kids enjoy new, colorful learning resources and stationery. Everyone involved in making the Penpal program operate is a volunteer. The money that is raised goes directly to the costs of printing letters, photographs and postage. 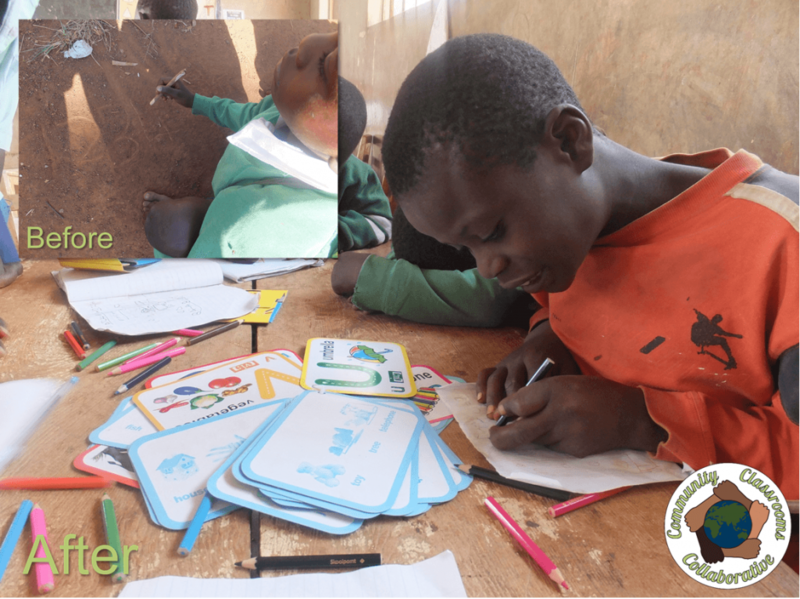 We buy paper and stationary for the Kenyan children (so that they can actually write back) and any additional funding is invested into participatory projects that benefit the children or village as a whole (developed in collaboration with the community). However, the pen pal program is not intended to become a financial strain on parents. The children are encouraged and supported (resources are in the development pipeline) to practice activism and social responsibility – using their passions and skills to change the lives of others. One child on the program likes music and recently went busking for his Kenyan friend. With a sign and the penpal photo displayed at the markets he raised $100 in an hour! He was so proud when he came to tell us. Other children like to bake and have a muffin drive in their neighborhood. Some kids like to have a ‘movie night’ and sell popcorn and other treats to their friends. If gardening is their thing then selling seedlings is an option. Budding authors might like to write an article to their local paper or school. There are many ways the children can be involved in fundraising and it is a good opportunity for learning, creativity and empowerment. The $7 a week donation is only a suggested contribution amount. If this is too much then $1 a week covers postage, printing and educational resources for the village children. This can be given as $52 per year after the funds have been raised. This is all still very grassroots and organically unfolding. We welcome your feedback and suggestions. Please contact us to let us know what you think.